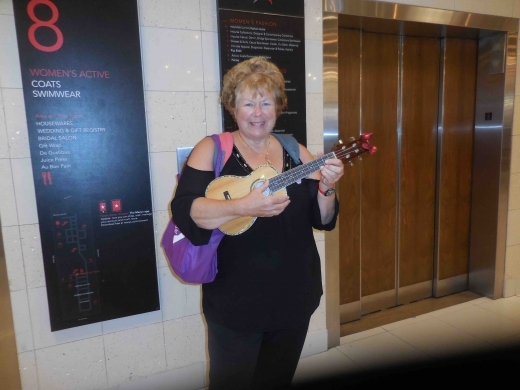 A recent step out of my comfort zone was playing ukulele on elevators in the NYC area for Elevate1global elevator day. I hesitated but the gentle encouragement of a friend got me to participate. I chose the song “You’ve Got a Friend in Me” and accompanied myself. It was a day of experiencing a rainbow of emotions and a day of “paying kindness forward”. 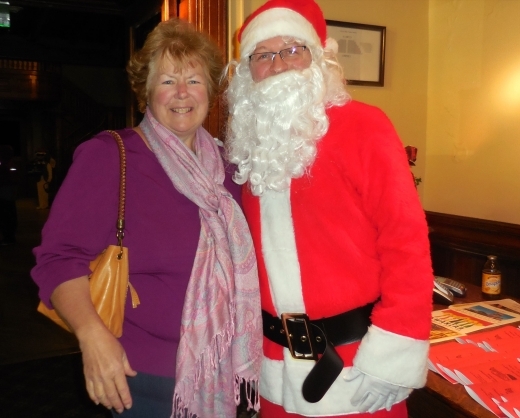 In return I was gifted with acceptance, smiles and an occasional chocolate. This gentle reminder that we are officially in the holiday season opened the wonder of the child that lives inside me whether I might spot him one more time this week to make the tally of Santa sightings to three. 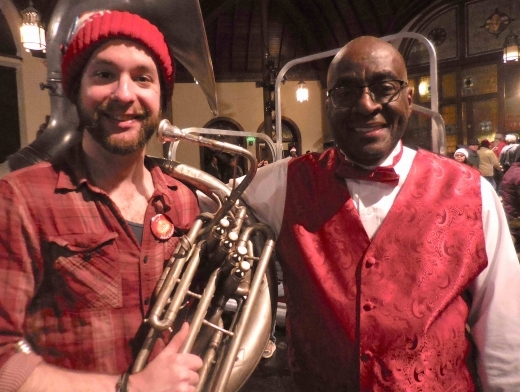 The idea of tuba enthusiasts of all ages collaborating to create a orchestra of professionals and novices to perform a holiday concert intrigued me. The more I learned about how this came to be, the more it shouted “Authentic Experience” and the more I wanted to attend.